A very good U-Lock design mostly for Bicycles but also good for a range of security purposes including gates. 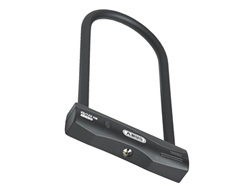 An weatherproof ABUS 5-pin mechanism makes it especially resistant to picking. This lock has also been independently tested to a Sold Secure grade of Bronze. 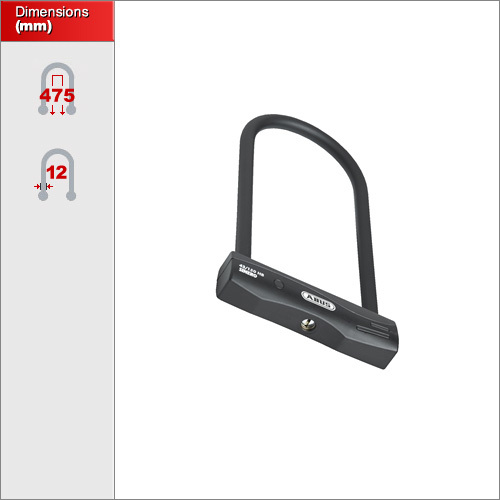 Ideal for bicycles and also comes with a universal bracket enabling you to attach the lock to frames of 15-35mm. It's shackle is long enough to secure a bike to a gate, lamp posts or railing.